Theresa Agnes Wiseman, 77 of Taylorville passed away at 5:04pm on Saturday, November 5, 2016 in her home. She was born on February 18, 1939, the daughter of Joseph and Elenora (Young) Myerscough. On July 6, 1957 she married Raymond E. Wiseman at St. Mary’s Catholic Church in Taylorville. She attended the University of Illinois at Springfield and earned her BSN degree. Theresa worked many jobs throughout her life, including National Guard at Camp Lincoln, the State of Illinois Department of Revenue, Jubelt’s Bakery, Dairy Queen, and County Market. 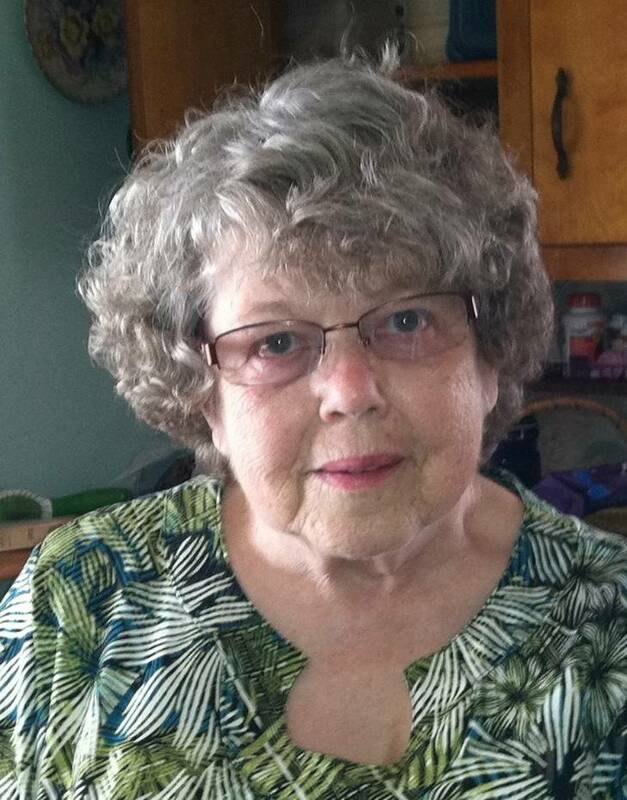 She proudly served as an election judge, was a member of the Christian County Extension and was active at the Christian County Senior Citizens Center. She enjoyed playing cards and Bingo, sewing, quilting, flowers, and reading. Theresa was a proud grandmother and great-grandmother. ​ daughters, Debbie Wiseman of Taylorville and Janice Marvel (Steve) of Waggoner; grandchildren, Carrie White Rolofson of Argenta, Kimberly White (Ben Deckard) of Boise Idaho, Julian Marvel, Ian Marvel both of Waggoner, and Ana Wiseman of Maryland; great-grandchildren, Kennedy White, Adelle Rolofson and Fiona Deckard; siblings, Margaret “Peggy” Tazioli of Highland Park, Merle Myerscough of Charleston, Marian “Mike” (Fran) Myerscough of Springfield, and Carol (Randy) Huber of Hillsboro. She was preceded in death by her parents; son, Raymond Wiseman Jr.; great-grandson Bran; and siblings, Joseph, Gerald, Mary Ellen, and Duane Myerscough. The family will hold a celebration of Theresa’s life at a later date. Cremated, Ashes given to family or friend. Specifically: The family will hold a celebration of Theresa’s life at a later date.